Collegiate entrepreneurs have lived and learned through an academic year full of new and valuable experiences in the 13th annual West Virginia Statewide Collegiate Business Plan Competition. The competition’s concluding event will be held April 12, a day full of opportunities ranging from making final presentations that could result in one of three grand prizes worth $10,000 to words of encouragement about their potential in the global business landscape. The competition is hosted by West Virginia University’s BrickStreet Center for Innovation and Entrepreneurship, located in the John Chambers College of Business and Economics. Collegiate teams from Blue Ridge Community and Technical College, Marshall University, Shepherd University, University of Charleston and West Virginia University have secured finalist positions, and received $1,000 to help further develop their business ideas in the final phase. Teams, coaches, judges, competition oversight committee members and invited guests will hear from U.S. Small Business Administration Regional Administrator Michelle Christian as this year’s competition wraps up. Rochelle Goodwin, senior associate vice president for academic and public strategy at WVU, will also address those attending the competition finals. The event will be held at the West Virginia High Technology Foundation at the I-79 Technology Park in Fairmont. Christian was appointed by the White House in February 2018 to serve as U.S. Small Business Administration Mid-Atlantic Regional Administrator. 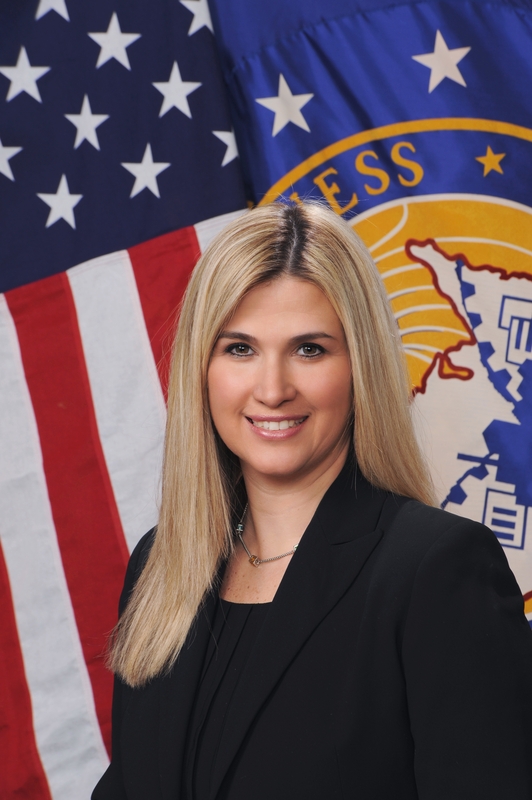 She is responsible for a field staff of more than 100 loan, business and community outreach specialists overseeing the delivery and management of the federal agency’s small business programs, financial assistance and business development initiatives throughout the mid-Atlantic region. Headquartered near Philadelphia, Christian’s office serves a population approaching 30 million through seven district offices in five states and Washington, D.C. In her current role, Goodwin furthers the efforts of aligning policy, service and education. Goodwin works to support WVU’s land grant mission through partnerships with academic and public leaders, community redevelopment, and economic development. Part of her charge is WV Forward, a statewide effort to identify West Virginia’s unique assets and pair them with economic trends that will leverage growth and development opportunities to strengthen and diversify all regions of the state. Christian and Goodwin will speak on the day that the $10,000 grand prize winners are determined in each of three categories, including STEM, Lifestyle & Innovation and Hospitality & Tourism. The West Virginia Statewide Collegiate Business Plan Competition is part of a national network that includes Brigham Young University, San Jose State University, Utah Valley University and Virginia Polytechnic Institute and State University. Ray Zinn, the longest-serving CEO in Silicon Valley and founder of Micrel Semiconductors, provided $10,000 to the BrickStreet Center in 2017 to make it part of the ZinnStarter program. For the second consecutive year, those funds will be distributed to any teams with promising business ideas, outside of the grand prize money. The program is designed to allow students to create go-to-market plans, finish prototypes and ultimately be evaluated on the performance of their use of funding. This year’s field of teams saw 201 entries from 15 different schools across the state, according St. Clair, who said that it was a good sign to see so many schools participating in the competition. She noted that a record eight schools were represented among the field of 30 semi-finalists who competed in November in Flatwoods. That phase of competition narrowed the field to five finalist teams in each category. The competition offers a platform to college students around the state to help make their business ideas come to life, and is open to all full-time higher education students from any academic major in the state of West Virginia. As the competition progresses throughout the academic year, students receive extensive education and assistance in preparing their business plans and creating their businesses. See a full list of finalists. The Brickstreet Center for Innovation and Entrepreneurship is part of the WVU Innovation, Design and Entrepreneurship Applied Ecosystem, a University-wide web of centers, offices and programs that fosters and supports innovation and entrepreneurship among WVU students, faculty and staff while engaging the statewide community. Fostering the creation of new business has been identified as a goal for the WV Forward initiative to advance the state’s economic future. WV Forward is a statewide collaboration led by West Virginia University, the state Department of Commerce and Marshall University to help grow the economy by adding jobs, investing in education, and improving health and wellness to create the most prosperous West Virginia possible.